Here are some places that offer free food tomorrow on Halloween. Every year, this list seems to grow! Panda Express: Free food for kiddos in costume during dinner time on Halloween. Jamba Juice: Ages 8 and under can enjoy Kids Free Smoothie Day from 2 to 7 p.m. on Halloween. IHOP: From 7 a.m. to 10 a.m., kids under 12 who wear their costume get a free Scary Face Pancake. One per child for dine-in guests only on Halloween. Chipotle: From 4 p.m. to close on Halloween, all customers dressed in costumes get a $3 burrito, bowl, salad, or order of tacos. Proceeds of up to $1 million will go to charity. Krispy Kreme: Wear your costume on Oct. 31, 2013, and get a free doughnut. Wendy’s: Buy a Jr. Frosty Halloween book for $1 and support the Dave Thomas Foundation. The book has coupons for free Jr. Frostys and 90 percent of the book sales go to the Foundation. This entry was posted in food, Free, Halloween. As the weather keeps changing, and there is definitely a chill in the air tonight, we like to head to Big Bear for some snow play. Thanksgiving weekend/week is only a few weeks away, and for many the perfect time to head up for some fun in the snow. 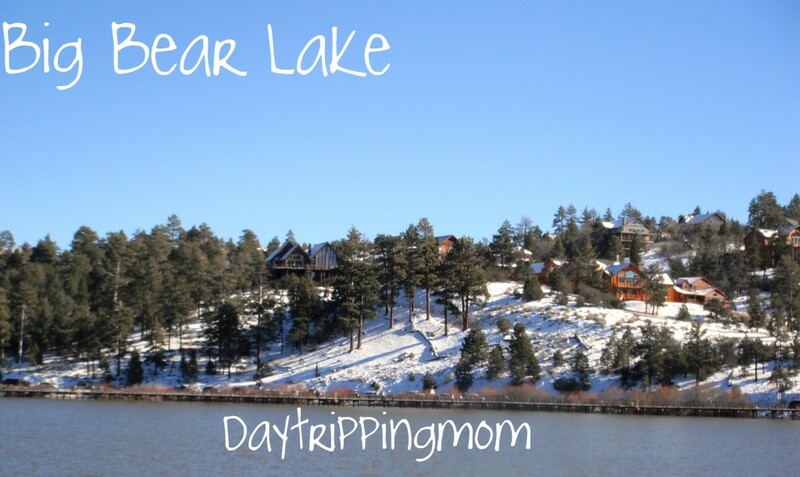 We head up to Big Bear at least once or twice during winter. My in-laws have a cabin, and we like to take the kiddos up for some fun in the snow. You don’t have to wait for a massive storm to make some fun memories in the snow. Big Bear Snow Play is now open for the season, and is a super fun place to take the family for an outing. Natural and man made snow are combined to make sure your family has a blast. You can go snow tubing, play in the snow, or sled on down. There is a covered lift, to make sure you don’t use up your energy on the way up. It makes playing in the snow as easy as can be. It avoids having to hike up the hill with small children. You just hop on the Magic Carpet uphill lift, and you’re up the hill before you know it. Big Bear Snow Play is open everyday from 10am to 4pm. Admission is $25 per person and includes unlimited rides and an inner tube rental. It’s open from 11am to 4pm on Christmas Day. For additional info head here. 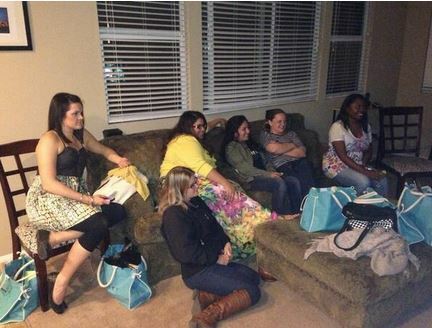 Last weekend, I had a blast as I had my friends come over for a girls night in. 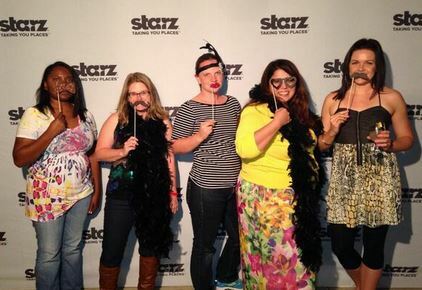 Thanks to Verizon Fios we watched the the season finale of the Starz hit show, The White Queen. We also were able to watch the season premiere of their new show about Jazz musicians in turn of the century England, called Dancing on the Edge. It was so much fun! Our night started out on the red carpet at our step and repeat. We had neighbors from all over slowing their cars down as they passed by the house. They were probably wondering what was going on. 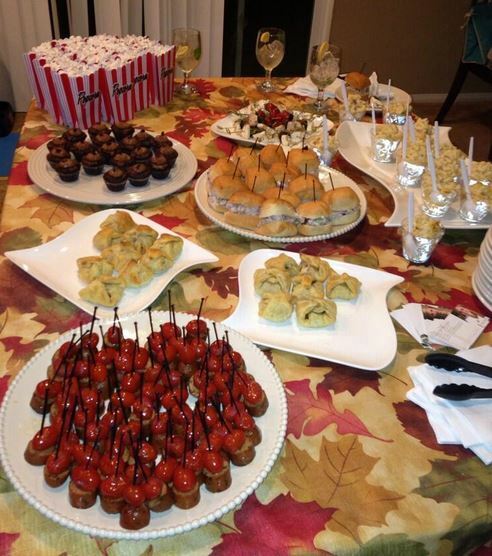 We had British themed appetizers served that were a big hit and put everyone in the mood. We also served that reminded me of the mint julip drink from New Orleans Square. The food was delish! As the 8 o’clock hour struck, we all gathered around the TV to watch the tense season finale of The White Queen. It certainly wrapped up some answered questions but also left plenty of new questions for next season. 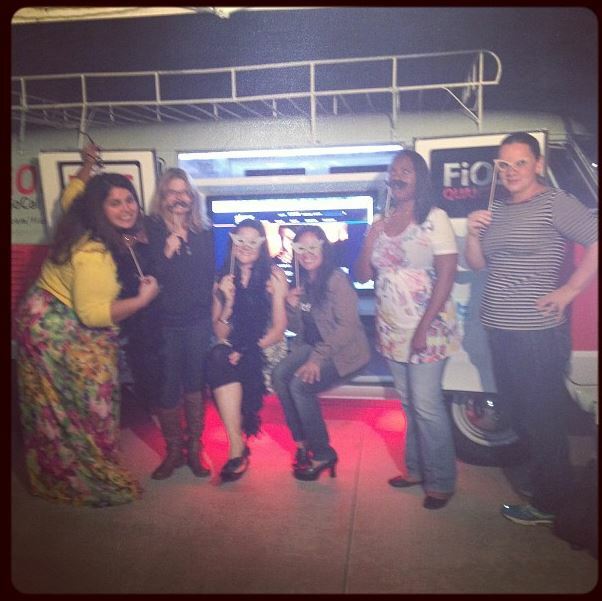 We had the perfect girl’s night in thanks to Verizon Fios. They have the best customer service, and subscribing to new channels, ordering pay per view, or just listening to music on their digital music channels, is easy as can be. I can’t rave about it enough. It makes entertaining at home seem effortless. I can’t wait to throw another season finale party! They are so much fun!